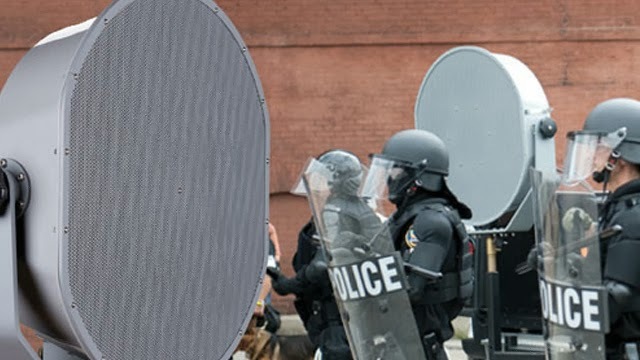 These sonic non-lethal weapons combined with through wall imaging technology for a targeting system can target a person in a house and hit them with a powerful sonic shock wave. Extremist groups are using the weapons. This is occurring in Camden County, New Jersey and possibly other states in the USA. Sonics, with a new type of imaging technology that can see images of people through walls of a house, are ver effective. This new imaging technology uses a wide range of radar signals that reflect back off of human body characteristics, such as body heat. The reflected radar signals are used by computer software to build an image, on a screen, of people inside a house. The image seen on the screen of people inside the house has enough detail to identify a person by body detail. Sonic (Sound) waves are atmospheric waves in our atmosphere. As we hear sounds, those sound waves are creating pressures on our eardrums, and our eardrums are converting that pressure to a signal that our brains can understand. Most people associate sound with things we normally hear, such as birds singing, music on the radio, and people talking. 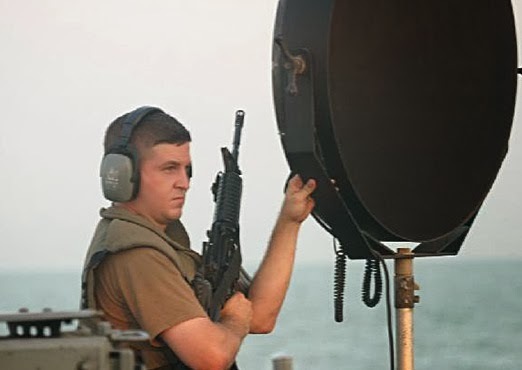 What most people don't know is that sound waves can be used as a very effective weapon. A focused sound wave is a single sound wave traveling in a certain direction with a single frequency (cycles per second). 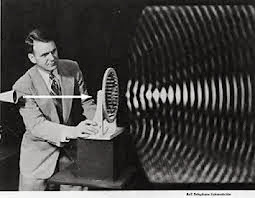 Sound waves can be infrasonic (below the human hearing range), audible (within the human hearing range), or ultrasonic (above the human hearing range). The amplitude of the sound wave is the height of the sound wave. Combining two or more focused sound waves results in a more powerful lower frequency sonic wave. This new more powerful sonic wave is no ordinary sound wave. Because the molecules in the air of this sonic wave have been accelerated to such a high velocity, it can penetrate the walls of a house without damaging the walls or house in anyway. By using commercial or medical ultrasonic transducers, an artificial focused sonic shock wave can be produced that is directional. These focused sonic shock waves can be combined to produce an even more powerful sonic shock wave. These powerful focused sonic shock waves are directional and will also penetrate house walls without damaging the house in anyway. Force will be put on the walls of the house if a strong focused sonic shock wave passes through the house. This force is not enough to damage the walls or house, however. If this strong focused sonic shock wave also passes through a human as it is passing though the house, a force will also be applied to that human. A similar amount of force applied to a human body will effect the human. The bones in the human body are dense, which means the sonic wave will have more trouble passing through them. As this sonic wave passes through the human body, it will produce a strong force applied to the human body because of the bones. This force could produce a strong violent jolt of the human body, as the sonic wave attempts to drag the bones of the body in the direction of the sonic wave. Another way to think of these focused sonic waves is a "sonic laser". Instead of the wave being electromagnetic, as a laser is, it is an atmospheric wave. UltraSonics is creating powerful infrasonic and ultrasonic sonic lasers that will cut through walls, ceilings, glass, furniture, and/or people. The amplitude of these sonic lasers could be an inch to several inches. These sonic lasers also have a tremendous distance, probably several hundred feet. Strong sonic waves passing through the human body also effect the nerves of the human body. A choking effect can be produced by passing the right frequency sonic wave through the neck of a human. The vocal chords will resonate, which causes this choking sensation. Passing a sonic wave through the chest can effect the lungs and produce a gasping for air reflex. Ultrasonic waves passing through the head can cause severe head pains. A shot to the stomach will produce a violent reflex of the stomach muscle, which could take a standing person down. The weapons are used for crowd control, and they are designed to disable a person in a riot situation. Most often, the weapons will not cause any damage to the human body and no marks will be left on the human body after being hit with these sonic weapons. Other types of these sonic weapons shower large parts of the Target's body with an array of sonic waves. Since the waves are out of the human hearing range, he or she will hear nothing as these waves strike against or pass through their body. By targeting the legs of the Target's body with the ultrasonic version of this weapon, the Target will feel a burning sensation in his or her legs. This method can be used to make the Target feel very uncomfortable while sitting in a chair in his or her living room, for example. The power needed to operate these sonic weapons must be enormous. A charging device would be necessary to build up a charge over a period of time, from normal household power. Thermal imaging technology can be used to see people through walls also. Thermal imaging systems have been greatly reduced in size and cost over the years. These systems are used at the United States/Mexican boarder to detect people crossing into the United States illegally at night. The thermal imaging technology can detect a person's body heat up to a mile away in total darkness. At night a person's body heat makes them lights up like a light bulb with the thermal imaging system. Fire fighters are now using thermal imaging technology to detect hot spots in a house after a fire has been extinguished. Once hot spots are detected, they are quickly doused with water. The surveillance equipment and non-lethal weapons are professional precision military equipment. These weapons are not just being put together with off-the-shelf parts. A lot of research is needed to determine what sound waves will effect the human body. This is no small time operation. The surveillance equipment and non-lethal weapons would need to be maintained and calibrated, also. 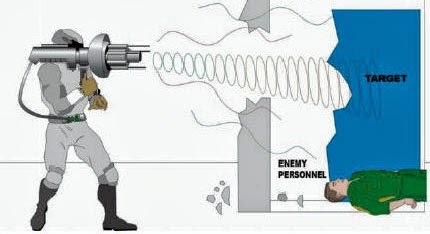 Since the through wall targeting scope and the non-lethal weapons are two separate units, the through wall targeting scope is not limited to just targeting non-lethal weapons, it can also be used to target lethal weapons as well. This through wall targeting scope is pin-point-accurate when used from a neighbouring house. It can be used to target a high-powered rifle.